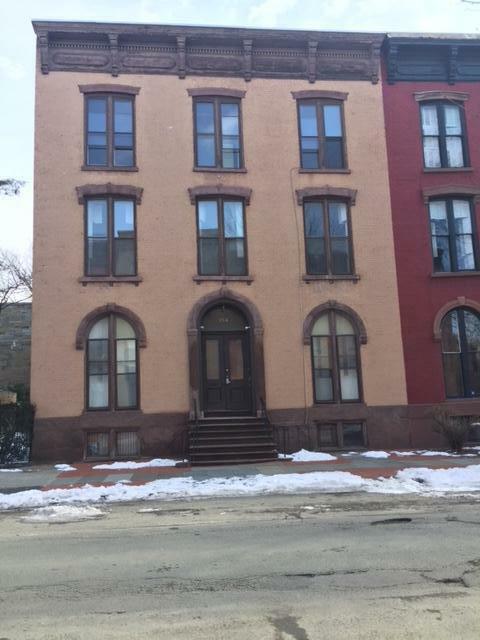 2 bedrooms, living room, dining room, study, one bath unit in Historic Riverside neighborhood. Newly renovated, new kitchen w/ref., gas range, M/W and D/W. New bathroom. Refinished hardwood floors, marble fireplace in living room, ceiling fans in all rooms. Heat, water, trash/recycling and off street parking for two vehicles are included. No smoking, no pets, no exceptions. $1,300 plus electric. Rental application required first month and security deposit due at signing. Washington Park Association of Troy NY, Proudly powered by WordPress.